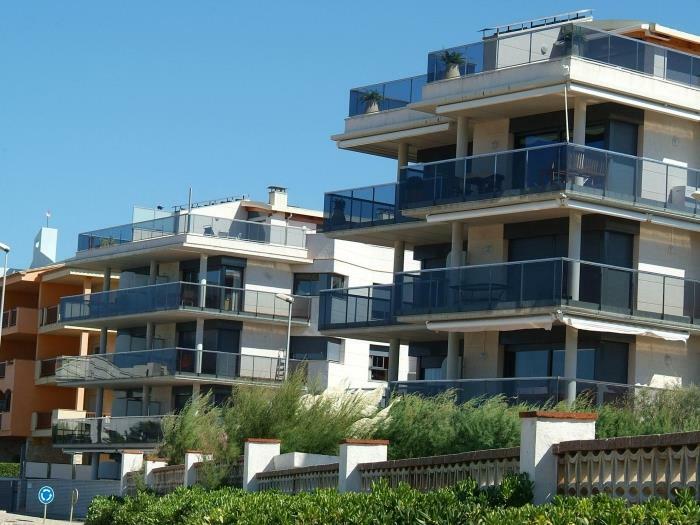 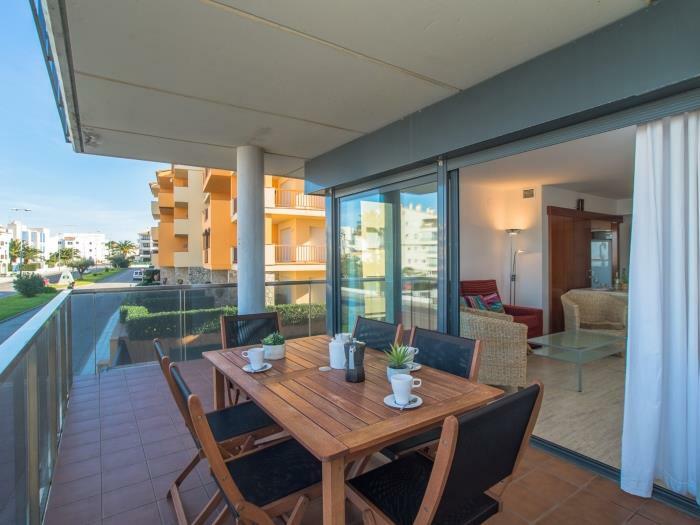 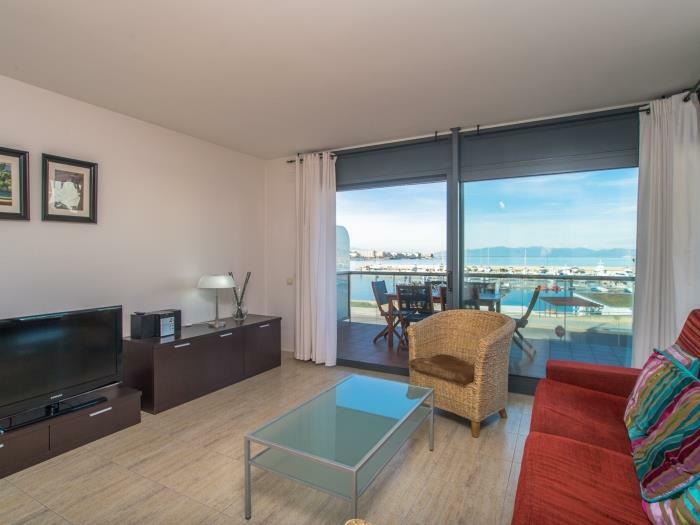 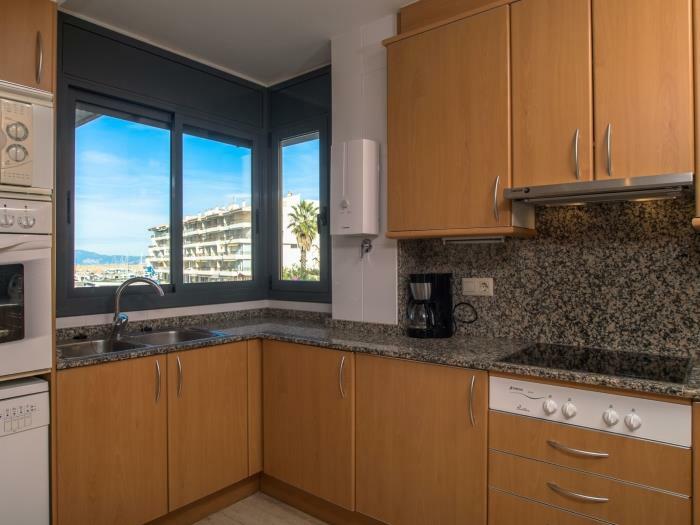 Beautiful seafront apartment located in a quality marine environment, in front of L'Escala Yacht Club. 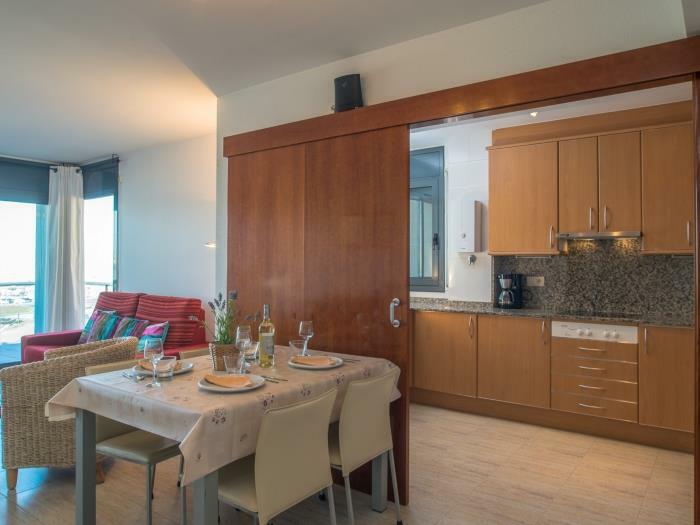 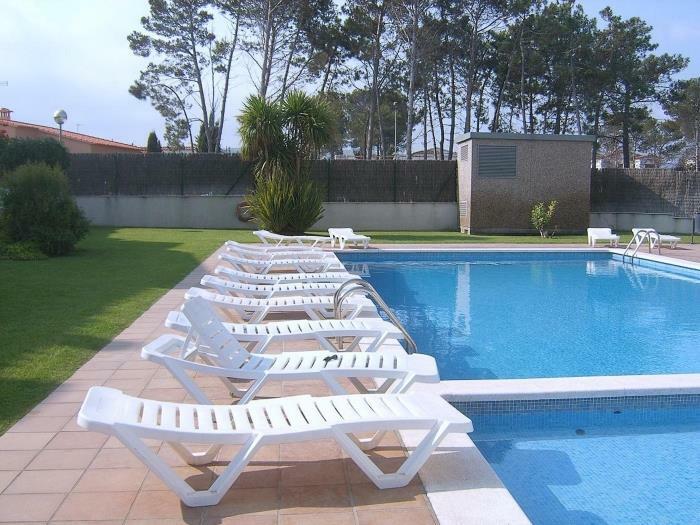 For up to 5 people, at 150 meters from Riells beach, it offers terrace with sea views, two community pools one for kids and another for adults, private parking space, Internet WIFI and air conditioning. 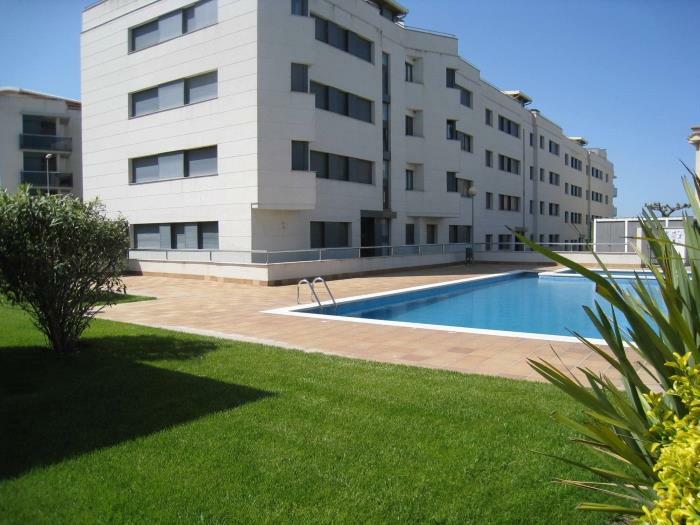 Newly built apartment (2005), in the first floor, with exterior aspects and plenty of sun. 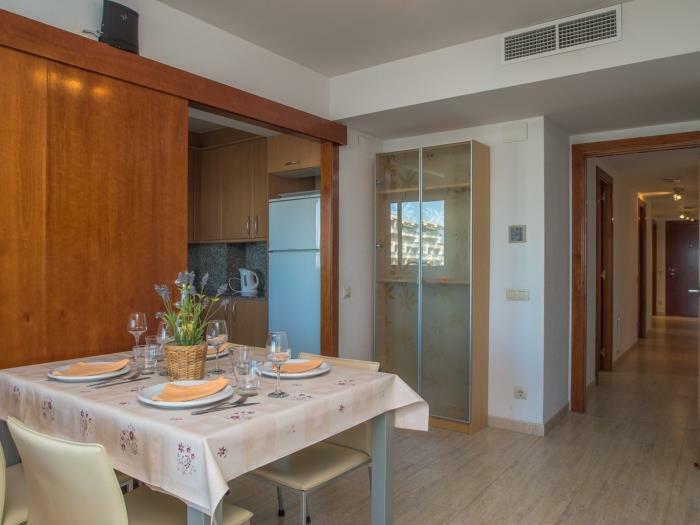 The apartment size is 90 m² for up to 5 people. 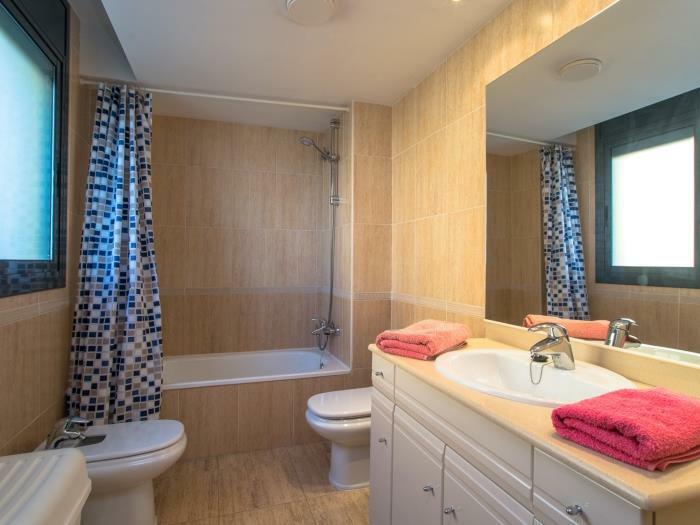 It consists of three bedrooms and two bathrooms. 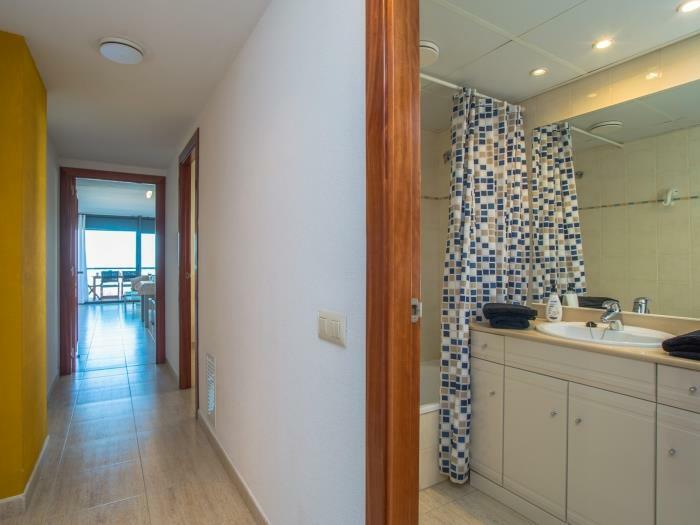 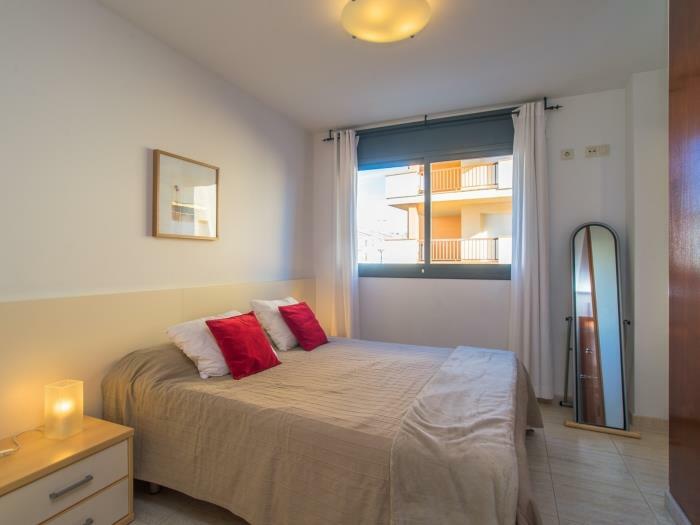 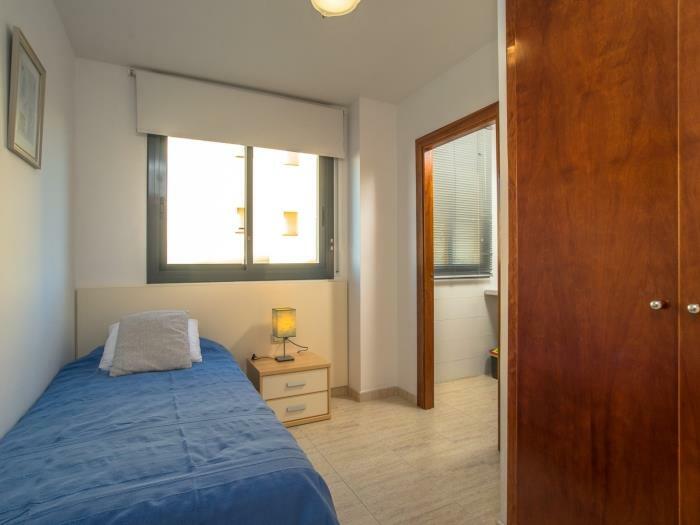 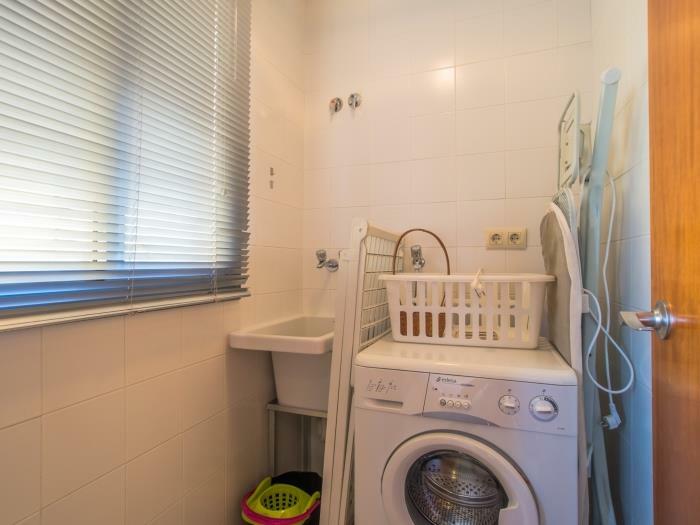 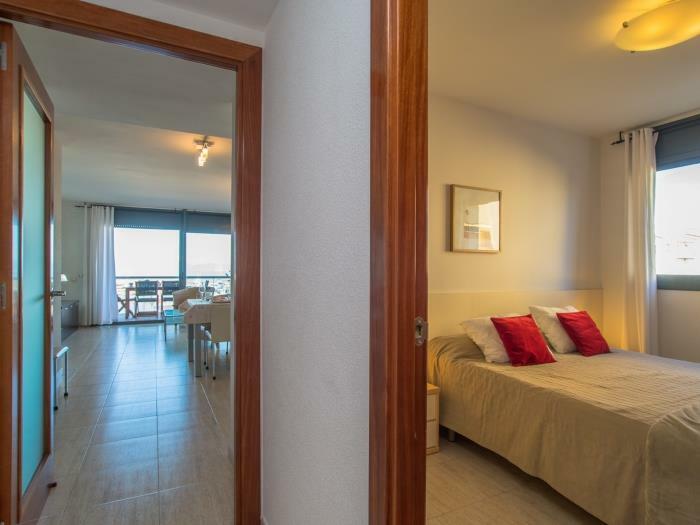 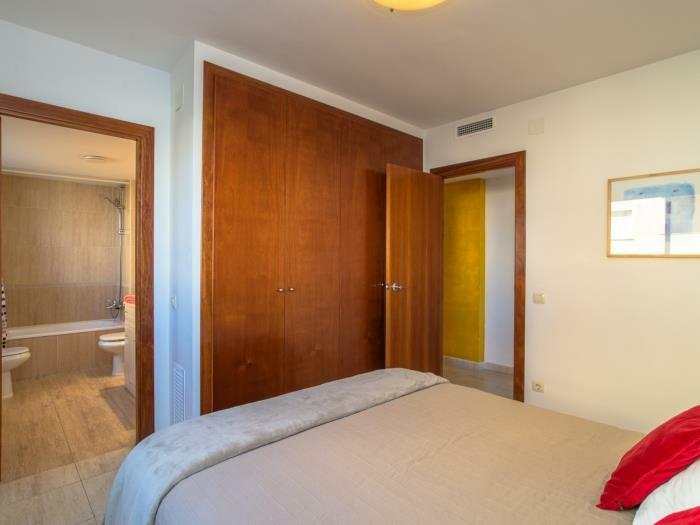 It consists of a hallway, one single bedroom with a buddle, one double bedroom, a complete bathroom with bath, a suite with a complete bathroom with bath, kitchen, the dining room and the living room with access to the terrace (16 m²). 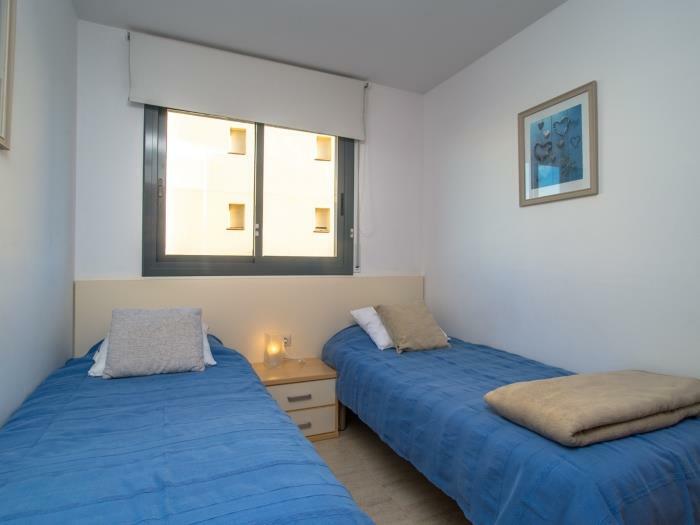 The suite feature a king bed and the other two bedrooms one with one single bed and the other with two single beds. 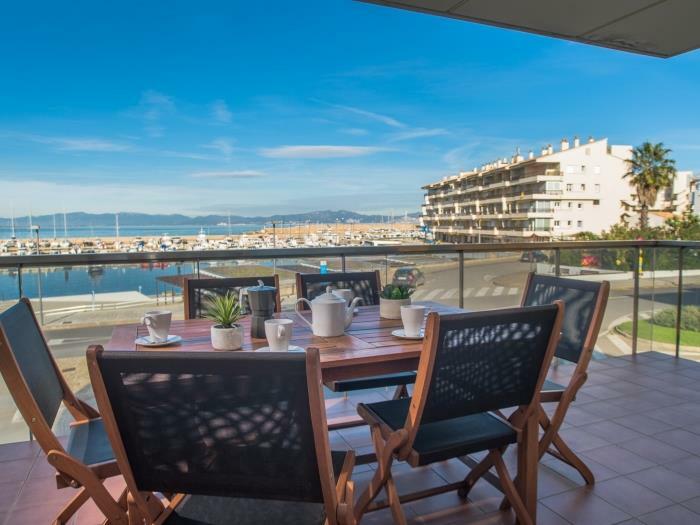 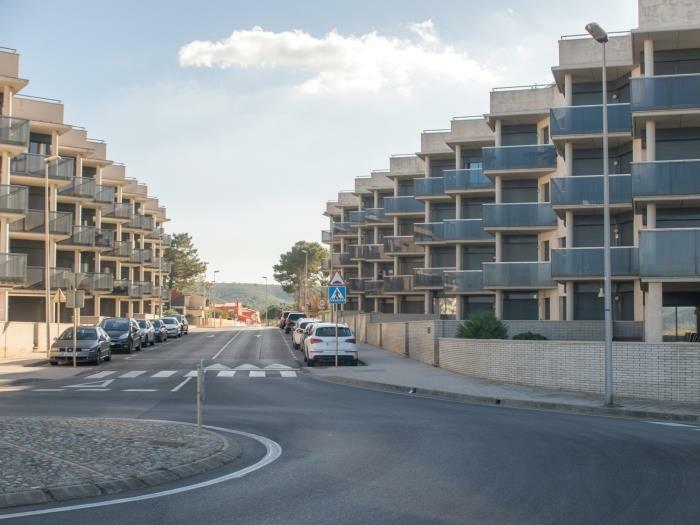 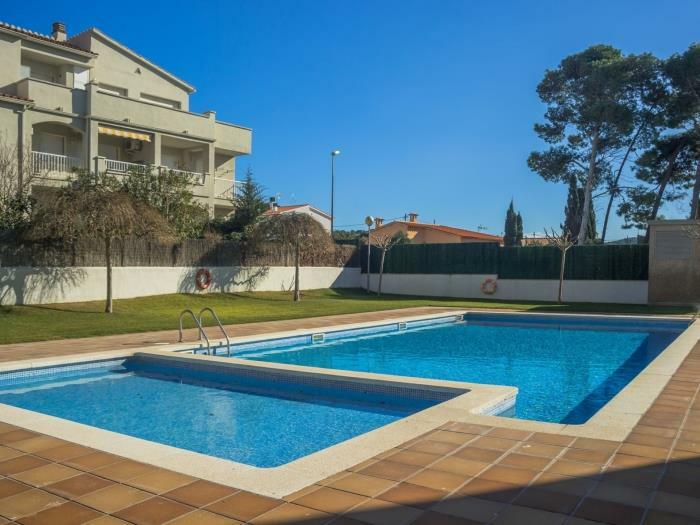 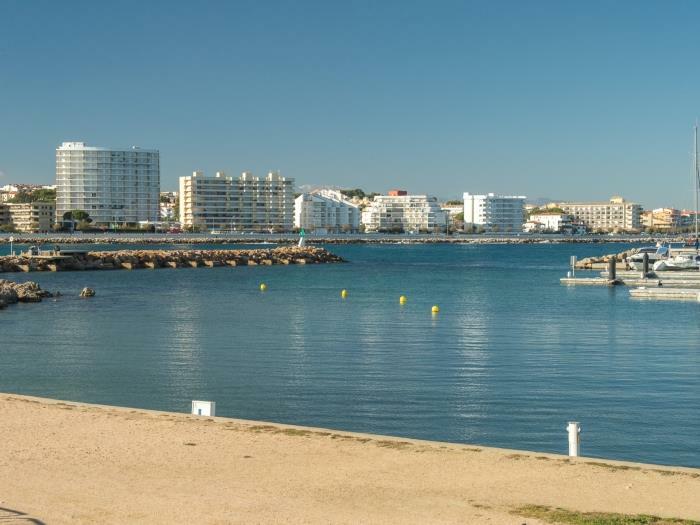 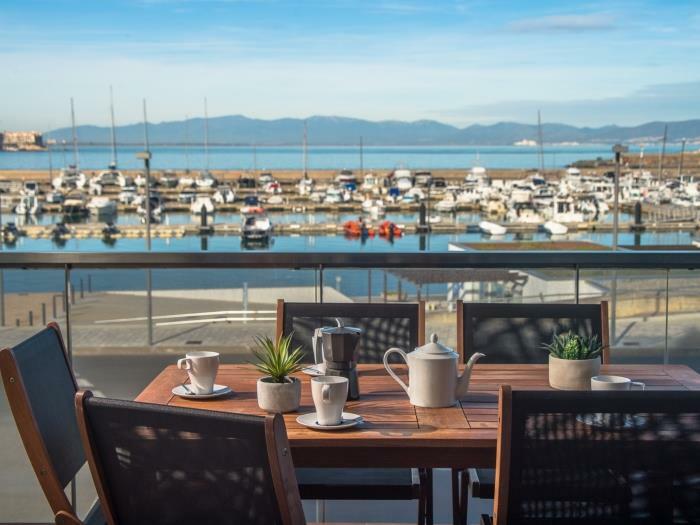 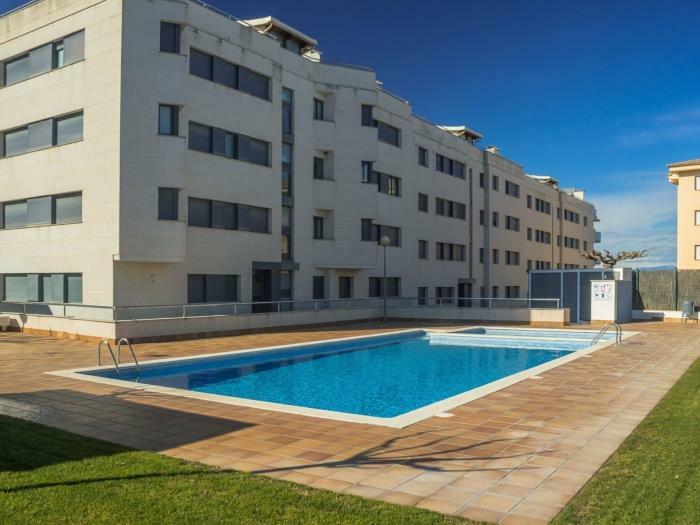 At 3 minutes from the beach of Riells and in front of the port and the Nautical Club, Balcó 5 is located in the fishing village of L'Escala. 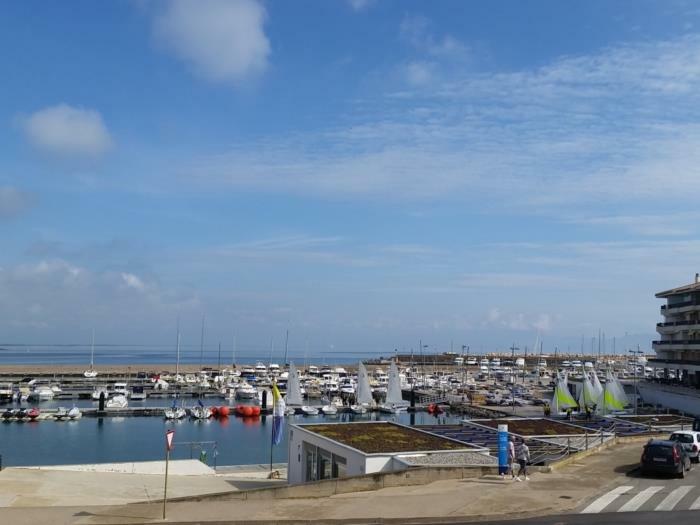 In front of the apartment is the Yacht Club of L'Escala where you can contract all kinds of water sports (light sailing courses, paddle surfing, canoeing, boating, etc.). 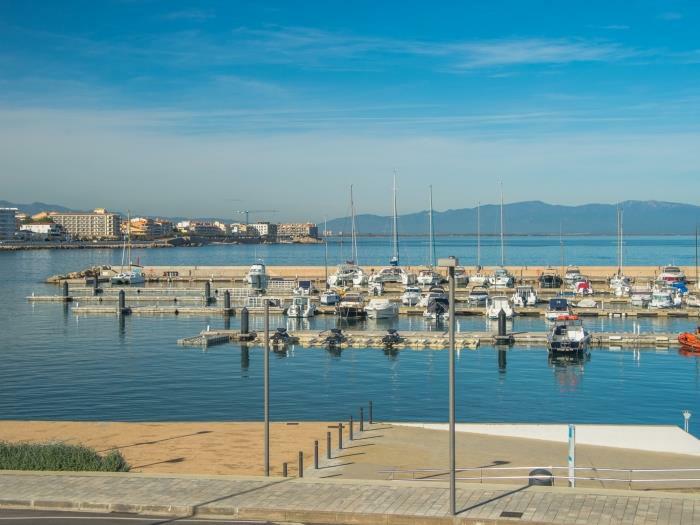 There is also the diving company Orca Diving who will open the doors of the Mediterranean seabed.